Effective Practice at West Brooklyn Community High School was written in collaboration with Jobs for the Future (JFF) to share the factors contributing to that transfer school’s striking success serving overage and under-credited students. 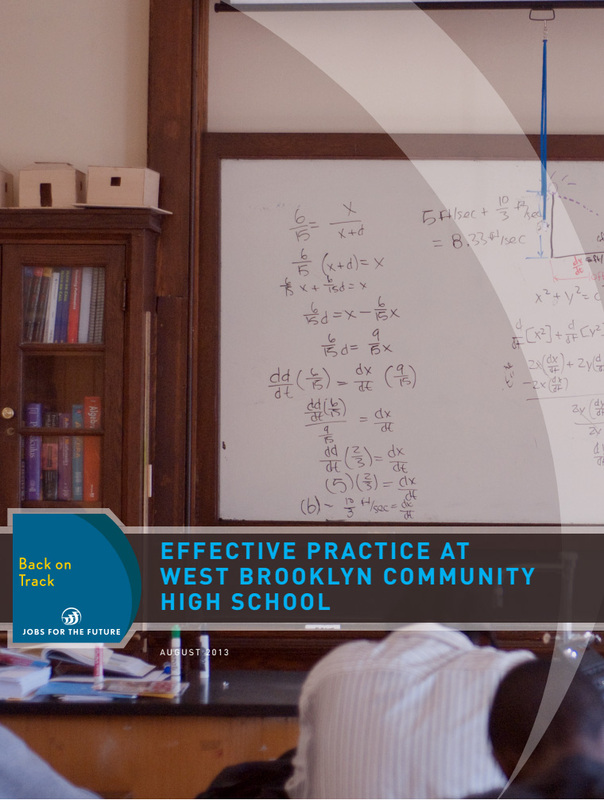 The 11-chapter book highlights practices at West Brooklyn Community High School (WBCHS), including the hiring of staff and enrollment of students, attendance outreach, counseling interventions, and family engagement. The book examines the core systems, structures, and practices that support this work and make WBCHS a successful transfer school. Appendices accompany each chapter with resources including sample protocols, template agendas, checklists, or forms to use at each step of the process.